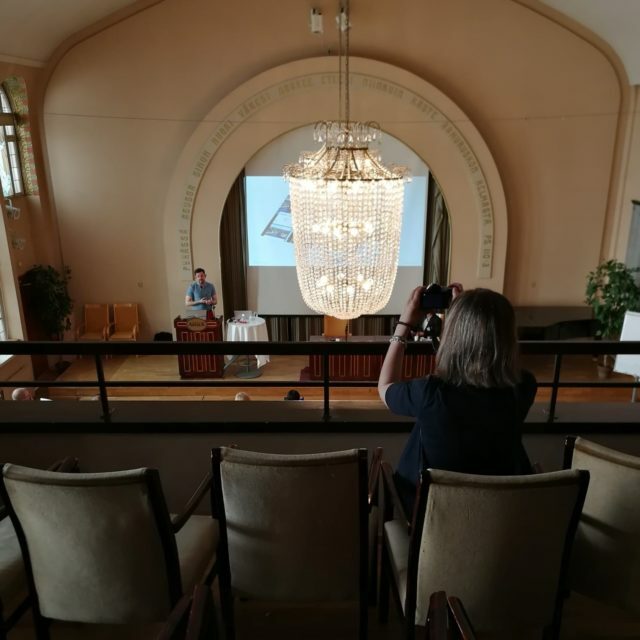 The second #IFITTtalk @Helsinki seminar on Digitalization in Tourism business was held at Hotel Arthur on Tuesday 15th of May. The seminar was opened by Kari Halonen from ToolBox Ltd, who was also the main organizer of the day. The opening speech was given by Juho Pesonen from the University of Eastern Finland, who has his thoughts on digitalization and customer experience. It is especially this focus on the customer experience that will be changing tourism marketing on a profound level in the future. Of course, the experience has always been important in tourism, but now with social media and the importance of earned media and technological development, customer experience will be the key to success in tourism. It was also the focus of this IFITTtalk seminar. During the day, we got to listen to several speakers and their thoughts and best practices concerning digitalization in the tourism field. One of the most interesting speeches was given by Pasi Tuominen from Haaga-Helia University of Applied Sciences. He emphasized the multisensory approach to tourism services in which all senses are being utilized. For example, in the hotel room of the future customers are able to select in what kind of eenvironmentthey want to fall asleep by using an app on their mobile phone. In multisensory approach spaces, surfaces, smells, and voices are all being utilized. Essi Prykäri from Lahti University of Applied Sciences emphasized the importance and possibilities of 360° Virtual Reality videos, for example in marketing nature tourism. This has also been done for example by SaimaaLife in the Savonlinna region, which we got the pleasure to get to know earlier in the spring when she visited our programme. Jarno Malaprade from Tietotalo talked us through the evolution of mobile phones and reminded us of the fast development that has happened during the last few decades. Our phones have transformed from normal mobile phones to personal assistants, and the transformation continues. 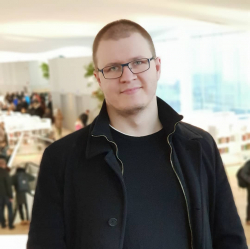 Jarno also introduced us more closely to beacons, which are Internet-of-Things devices that can be utilized easily in various ways in tourism businesses. The beacons can help businesses to for example guiding customers in certain areas such as theme parks, which tend to get busy at times. The beacons are aware of the presence of the user and can be used to collect all different sorts of data to help in experience design. Heini Niklas-Salminen from TourGuideFox presented their company’s app, which offers digitally guided city tours. The company has started tours recently in Helsinki but is planning to expand in the future. Heini gave some insights for features of successful apps. It has to be easy to buy, modified to different target groups and that customer experiences are at the core of service. TourGuideFox aims to be more than just another city tour app; there is a possibility to build a whole ecosystem based on creating more value for tourists when they are on the trip. The speeches were finalized by Iis Tussyadijah, the President of IFITT, who joined the seminar online. She emphasized the importance of AI and robotics, as services will be robotized in the future. According to her, this change will also greatly affect tourism business. It will bring both opportunities and challenges, and tourism industry should be ready to optimize the benefits and minimize the risks. The afternoon continued with workshops on digitalization. Also, we got to familiarize ourselves with the exhibitors, who introduced their companies. The companies included were Tripsteri, Qvick, Koodiviidakko, HMMH Consulting, Wowanders, and Poutapilvi. Also, the company representatives had a chance to participate in workshops concerning digitalization held by Juho Pesonen. The main notion of the day is that tourism businesses can profit greatly from digitalization. It will make the travelers’ lives easier, but also the travel experience certainly a lot more interesting. It became apparent during the day that many companies already use different kinds of applications in order to offer new services, but there is still a lot to be done. However, the question remains whether the virtual reality will never be able to replace real experiences. Does it even have to, or should it be more like an addition to the actual experiences that the traveler may face? Participants were really enthusiastic about the day’s topic and were eager to share their knowledge and tell about their business ideas. Everyone certainly finished the day with inspiration and new ideas to be utilized in the future. All in all, the day proved that there definitely is a place for a seminar like this also in the future. It is fantastic that IFITT is supporting events such as this and enables tourism industry to benefit from digitalization and share ideas and best practices. Previous Previous post: The most important concept in destination marketing?